Either : 30 days consumption of 3 g / day or 20-day daily consumption of 5g / day. The spirulina twigs is eaten plain or sprinkle on salads, soups, on bread with goat cheese, (See recipe) and throughout your diet. 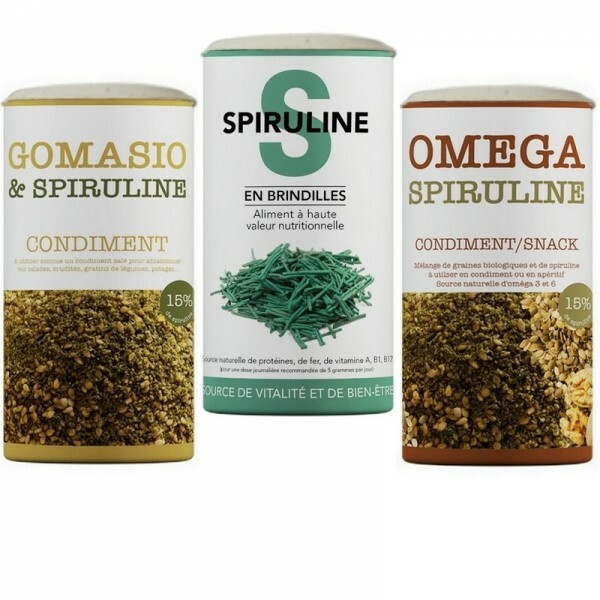 Our Spirulina is produced naturally and guaranteed without additives. Our low temperature drying method preserves the nutritional qualities of spirulina and gives it a mild and pleasant taste. Spirulina is rich in protein, available iron, essential fatty acid and vitamins B12 famous.